Words fall short to define this young man, who has been contributing to the success of many lives. Read on to learn more about this hero who stands as the perfect role model for every youngster who dreams to attain success at a young age. “There are many human needs. We all have needs in life; it could be love, family, money, security and many others. But, many of us forget one of the most important needs, which is, contribution. It’s a global need. 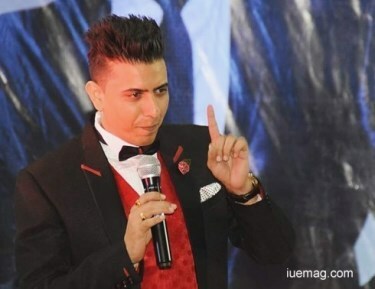 Living happy is right, but it’s also a responsibility to help others live happily” says the National Level Mind and Memory Trainer, inspirational & motivational public speaker and a life coach, Yogendra Singh Rathore, 29, who was recently awarded by Yuva Unstoppable (an organization led by youngsters, that works towards the welfare of the less privileged), for his selfless social contributions that have made a difference in many lives. 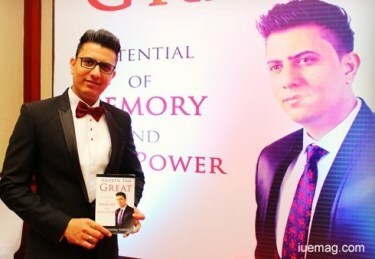 Rathore has also authored ‘Awaken the great potential of Memory and Will-Power’ that provides techniques to have control over one’s memory and willpower. 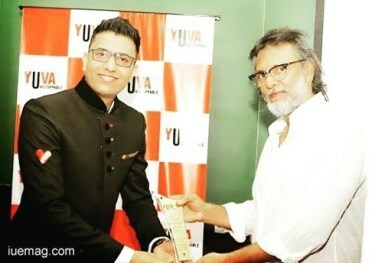 Yogendra Singh, the founder of UEP and the brand ambassador of Yuva Unstoppable, has been much involved in contributing to the happiness of many lives. Alongside providing free memory enhancement workshops to the underprivileged children, he has also been associated with Peer Parai Foundation that serves the old-aged. In his free workshops, he trains the children on improving their memory power, principles of Vedic mathematics, power of subconscious mind, and also educates them with respect to health and importance of meditation. Rathore has also been a yoga practitioner since years. Apart from entrepreneurship and social impacts, he has latterly been attracted to spirituality as well. “Living happily is mainly about your relationship with yourself. This isn’t happening with most individuals at the corporates. I believe I can help them with the knowledge I have acquired through my experience. Soon, we shall launch what can help such people trying to juggle work with personal life” states Rathore, who has also co-founded a platform named Just Help, which recognizes social contributions of local heroes- individuals who are working towards betterment of the society. With inspirations from Swami Vivekananda and Gautama Buddha, he dreams to create one million trainers who shall inturn help others achieve success. He also wishes to be the reason to create more entrepreneurs, who shall value their people more than money. With the evolution of such young compassionate individuals like Yogendra Singh Rathore who define true success, the world is bound to be a better place to live in. Any facts, figures or references stated here are made by the author & don't reflect the endorsement of iU at all times unless otherwise drafted by official staff at iU. This article was first published here on 14th December 2016.